Saturday Night Live is revving up for its 37th season. Kicking off four consecutive news shows on Sept. 24 will be Alec Baldwin, returning as host for his record-setting 16th appearance. Radiohead returns for their second appearance as musical guest. Melissa McCarthy, star of CBS sitcom Mike & Molly, will make her debut appearance as host on Oct. 1. She also appeared in this summer's box office blockbusterBridesmaids alongside SNL's Kristen Wiig. 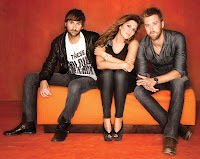 Making their SNL debut as musical guests for the night: Lady Antebellum.